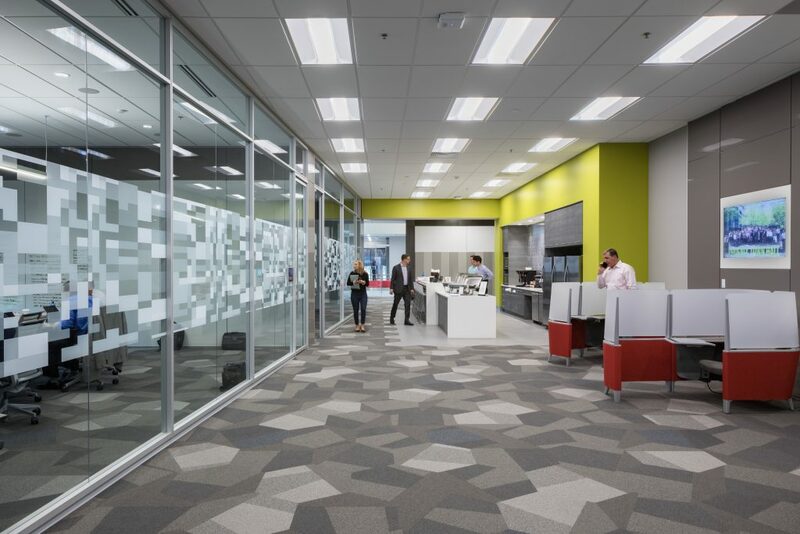 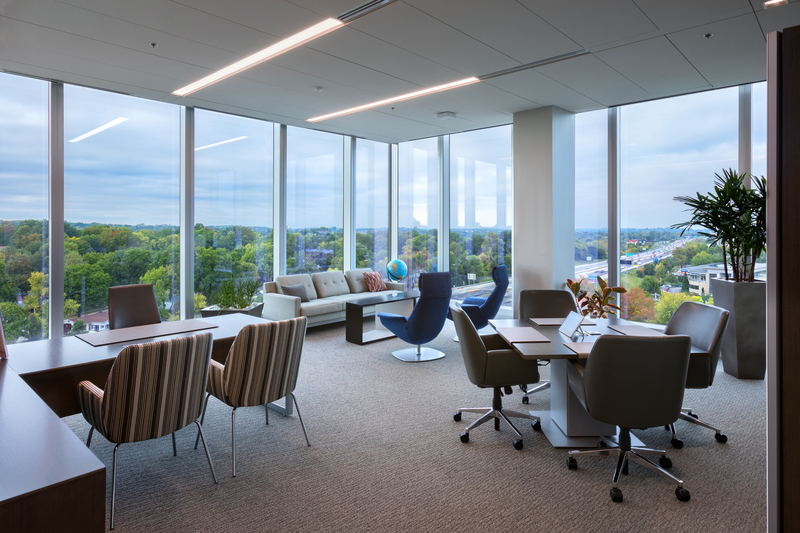 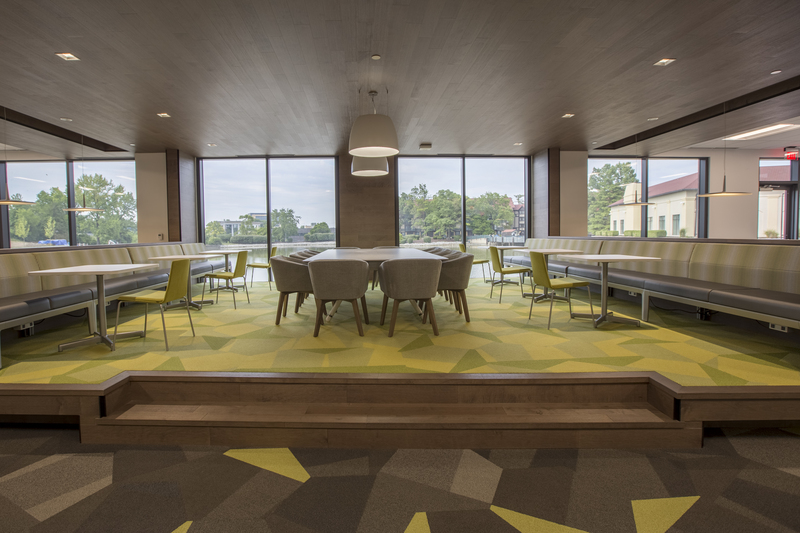 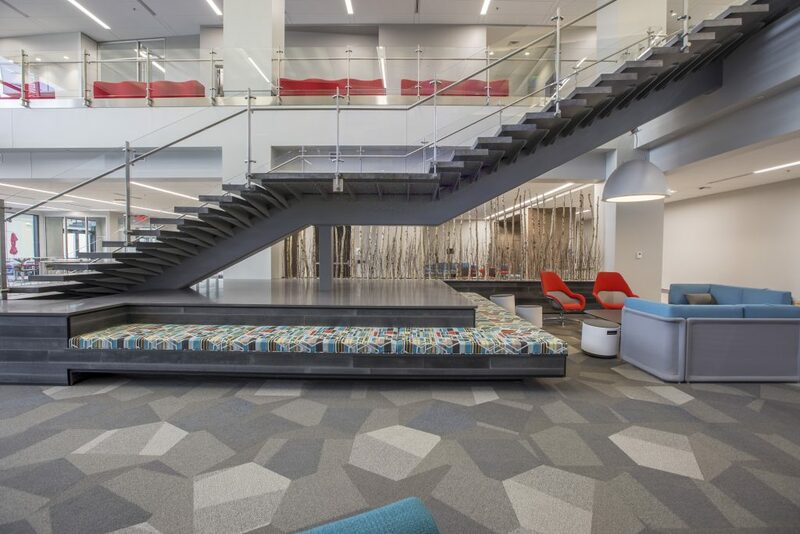 Just seven years after designing a headquarters for Worldwide Technology, O’Toole design was assigned the task to create a bigger and better headquarters for the rapidly growing company. 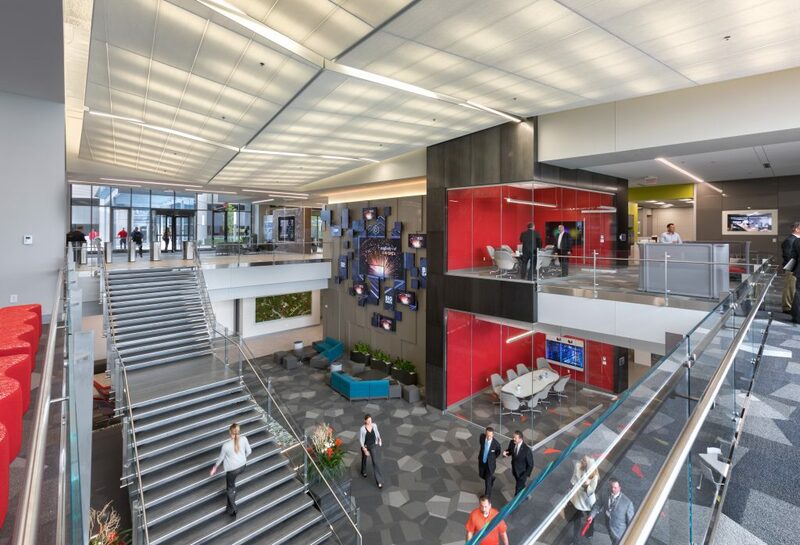 Worldwide Technology is known for providing office spaces where people want to go to work, and wanted to take that idea to the next level, with a brand new building—full of their own amazing and innovative technology—-that would inspire employees and visitors alike. 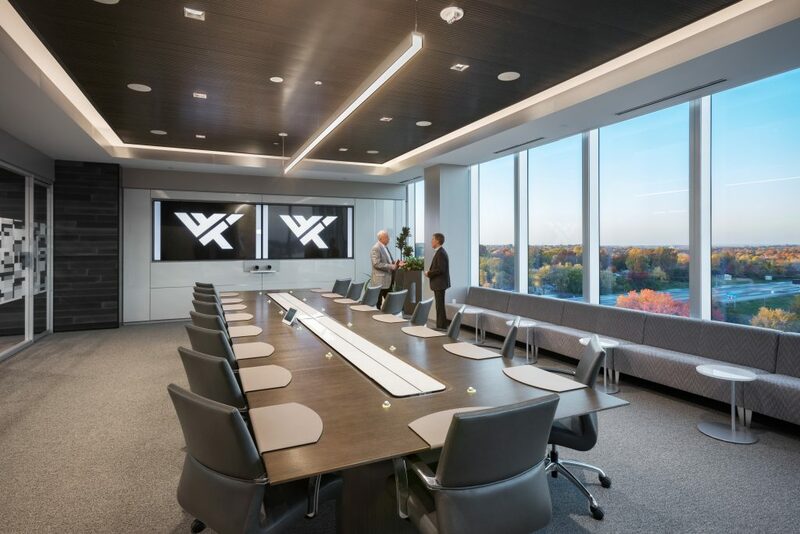 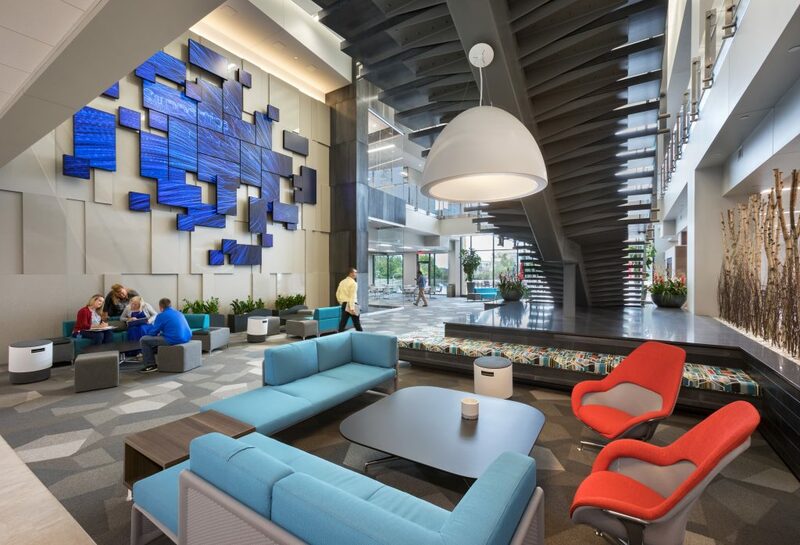 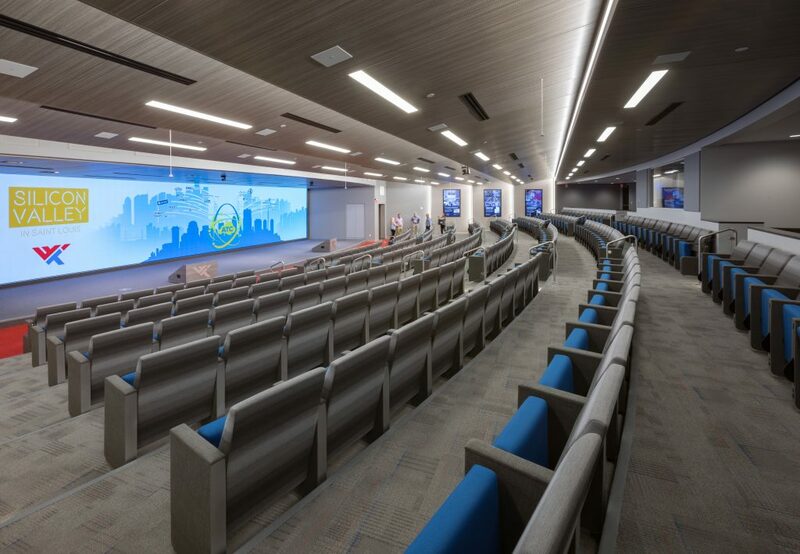 The priority for the new seven-story Global Headquarters building was to create an innovative, collaborative and energetic environment that incorporated and reinforced WWT’s core values, including WWT’s commitment to maintaining a healthy work-life balance. Corporate colors and branding identity concepts were integrated throughout the building. Finishes and design were utilized with a commitment to sustainability. 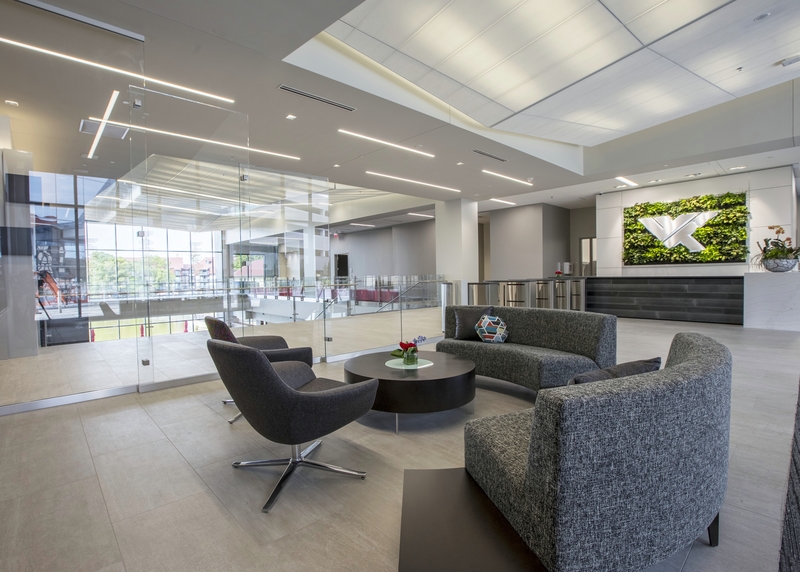 The project is in review for LEED gold certification. 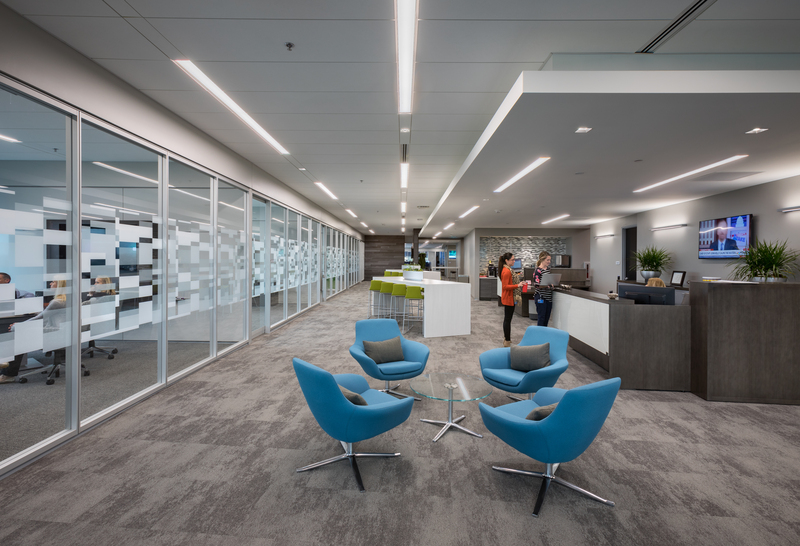 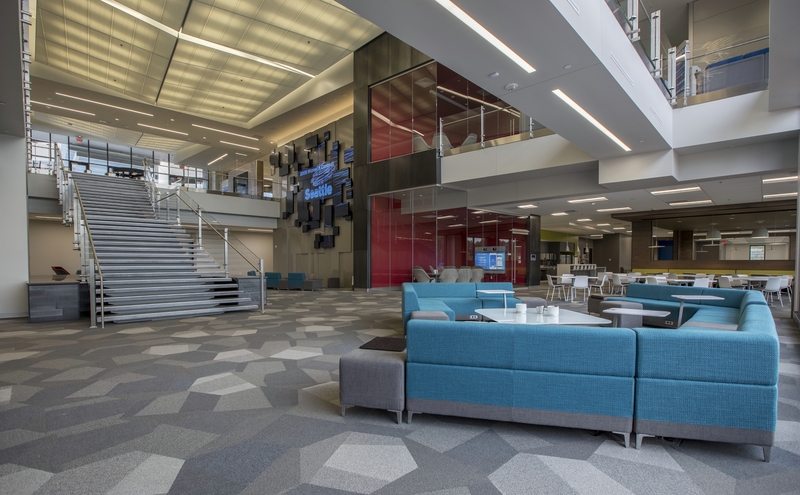 WWT is a living breathing and ever-changing demonstration of all the best trends in today’s workplace design.